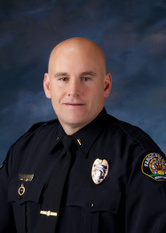 Chief Todd attended and graduated from Oak Grove Lutheran High School in Fargo, ND. He received a bachelor's degree in Criminal Justice from Minnesota State University Moorhead and is a graduate of the 223rd class at the FBI National Academy. Chief Todd also completed the Law Enforcement Executive Development course and curriculum from the FBI. 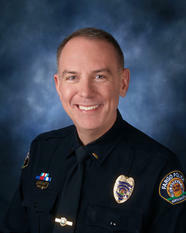 Chief Todd started work with the Fargo Police Department as a police officer in 1987. He walked the beat as the downtown resource officer, was promoted and served as a sergeant and then a lieutenant on the various patrol shifts. 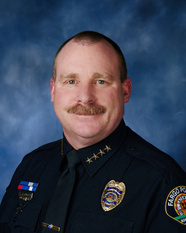 Chief Todd has overseen the K-9 teams for the Fargo Police Department, was on the SWAT Team for 12 years, served as the Red River Valley SWAT Commander, a position which oversees SWAT, the Negotiator Unit and the Bomb Team. Chief Todd was promoted to captain of the Field Services Division and then promoted again to Deputy Chief. He then moved over to the Investigations Division as a Deputy Chief before being named as the Interim Chief for the Fargo Police Department in November of 2014. Chief Todd was appointed permanently to the police chief position in October of 2015. Chief Todd has run the internal affairs investigations for the Fargo Police Department. He’s been assigned positions in every division within the police department during his 29 years of service to the department. Chief Todd is also currently the vice chair of the board of directors for the Red River Regional Dispatch Center, which provides emergency services and public safety dispatching for a metropolitan area of approximately 225,000 people and also two counties. 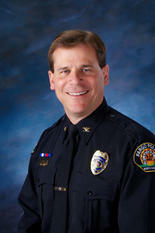 Chief Todd was appointed by the ND Attorney General to the ND Drug and Violent Crime Policy Board. He was also appointed by the ND Attorney General to the ND Open Records Advisory Committee. He serves on the FM Ambulance Oversight Committee and he serves on the Advisory Board for Minnesota State Community and Technical College for the Criminal Justice Program. Chief Todd is involved in his community by serving in leadership positions with his church and with public service organizations he’s involved with. 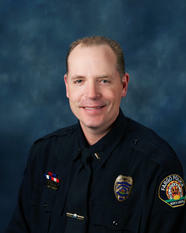 Deputy Chief Todd Osmundson has been employed with the Fargo Police Department since August of 1988. Osmundson served as a Bike Officer during his time in patrol. Osmundson was promoted to the rank of Sergeant in September of 1997 where he supervised patrol and the the investigations unit. Osmundson was promoted to the rank of Lieutenant in October 2002, Captain in March of 2004, and the rank of Assistant Chief in May of 2006. Osmundson was promoted to the rank of Deputy Chief in 2012 and has served as the commander of the Administrative Service Division where he managed and created the department's budget and federal grants for 11 years, and currently oversees the Criminal Investigations Unit where he is responsible for the Property Crimes Team, Personal Crimes Team, Crimes Against Children Unit, Narcotics Unit, Metro Street Crimes Unit and Intel Unit. Osmundson served on the Red River Valley SWAT team from 1994 to 2002 where he served as a Team Leader. Osmundson has also served as a Firearms Instructor for the department. Osmundson headed several large projects for the department to include Command Central, a program our department uses to monitor crime, and Guardian Tracking, a program our department uses to create positive recognition of employee performance. Osmundson sat on the Chief's Advisory Committee and the Awards committee, and was the past president of the Fargo Police Association. Osmundson has received the Distinguished Service Award for his service during the 2009 flood, honor guard, SWAT and serving as a firearms instructor. Osmundson received an Associate degree in Law Enforcement from Alexandria Technical College and attended the FBI National Academy in 2000, class 203 and has served as the President of the Northwest Chapter of the National Academy Association. He also attended the FBI Law Enforcement Executive Development course at St. Cloud University. Osmundson completed a nine month local FM Chamber Leadership program in 2002. Deputy Chief Joseph Anderson has been employed with the Fargo Police Department since January of 1997. Prior to working for the Fargo Police Department, Anderson worked as a Reserve Deputy for the Cass County Sheriff’s Office for two years. Anderson was promoted to the rank of Sergeant in October of 2002. As a Sergeant, Anderson supervised Patrol and the Criminal Investigations Unit. Anderson also served as the Office of Professional Affairs Supervisor. Anderson was promoted to the rank of Lieutenant in Jan of 2011 and served as the District Commander of Field Services and the Traffic Safety Unit. Anderson was promoted to the rank of Deputy Chief in December of 2014. He oversaw the Field Services Division for two years, and currently oversees the Administrative Services Division. Deputy Chief Anderson received a Bachelor’s of Arts degree in Criminal Justice from Minnesota State University of Moorhead. Anderson is a graduate of the 250th class of the FBI National Academy in 2012, and the Northwestern School of Police Staff and Command. Anderson earned the Franklin M. Kremmel Leadership Award at the Northwestern School of Police Staff and Command. Anderson is additionally trained in Advance Crash Investigation and Reconstruction and Internal Affairs Investigation. Anderson initiated the creation of the Fargo Police Department's Mentoring Program, selected the committee and provided guidance and vision to the implementation of this program. Anderson also redefined the roles and responsibilities of the Crime Analyst position and the weekly Intelligence Lead Policing meetings. Anderson served in the North Dakota Air National Guard for 22 years. He enlisted as Security Forces for 12 years. He served as a Personnel Officer (ND JFHQ); the 119th Service Flight Commander; the 199th Force Support Squadron Operations Officer; and the 199th Security Forces Commander. Deputy Chief Ross Renner has been employed with the Fargo Police Department since September of 1997. Prior to working for the Fargo Police Department, he worked for the Enderlin Police Department for six months and the Wahpeton Police Department for nine years. Renner served as a Patrol Officer and Narcotics Detective prior to his promotion to the rank of Sergeant in 2000. Renner was a Patrol and Investigations Supervisor prior to his promotion to the rank of Lieutenant in 2011. As a Lieutenant, Renner oversaw the Metro Street Crimes Unit in the Field Services Division. Renner was promoted to the rank of Deputy Chief in January of 2016 where he currently oversees the Field Services Division. Renner served on the Red River Valley SWAT Team for 11 years and served as the SWAT Sergeant and Commander. Renner has been named supervisor of the year, and was instrumental in establishing the patrol rifle programs, the Safe Community’s Coalition, Bar Compliance Checks and the Server Training Program. 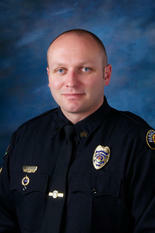 Lieutenant Mathew Sanders has been employed with the Fargo Police Department since January of 1995. Sanders has worked as a Narcotics Detective prior to being promoted to the rank of Sergeant in January of 2005. Sanders supervised patrol officers, the Narcotics Unit, and the Personal and Property crimes teams in the Investigations Unit as a Sergeant. Sanders was promoted to the rank of Lieutenant in May of 2014 where he oversaw a patrol district in the Field Services Division. Sanders currently serves as the Administrative Services Division Lieutenant where he is responsible for the departments recruiting, hiring, training, evidence, facilities, equipment, police records, crime prevention and safe housing, grants and the department's budget. Sanders has received a Life Saving Award, Police Officer’s Service Award and an Emergency Service Unit Citation. Sanders attended North Dakota State University and majored in English and Criminal Justice. Sanders has specialized training in Incident Command System, Homicide and Questioned Death Scene Reconstruction, Critical Incident Management, Mediation Training, PATC’s Leadership for Challenging Times and Managing Police Discipline. Sanders completed the Northwestern University’s Management of Police Personnel program in 2006 and Police Leadership Supervision and Management in 2007. 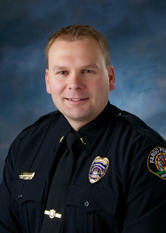 Lt. Ahlfeldt has been employed with the Fargo Police Department since December of 2001. As an Officer, Ahlfeldt worked on the night shift in Fargo’s Downtown area. Ahlfeldt was also assigned as an Investigator in the Narcotics Unit and Criminal Investigation Unit where he worked on multiple narcotics, personal, and property crime cases. In 2009, Ahlfeldt was promoted to the rank of Sergeant. During Ahlfeldt’s time as a Sergeant, he was assigned to both Night and Day Shift, until 2014 when he was reassigned to the police department’s Office of Professional Standards. Ahlfeldt has also been a firearm’s instructor, Police Training Officer, Police Training Supervisor, Peer Assistance Crisis Team member, and is CIT trained. Ahlfeldt has been a member of the Red River Valley SWAT Team since May of 2003, and is the current Commander. During his time as a team member, he has been an operator participating in multiple high risk entries and search warrant services, a firearm’s and tactics instructor for the team and a team leader. Ahlfeldt has attended multiple tactical schools during his time as a SWAT team member to include Advanced SWAT and Hostage Rescue schools with the National Tactical Officer’s Association and LAPD SWAT and multiple team leadership schools with the National Tactical Officer’s Association. Ahlfeldt has also instructed at the Red River Valley SWAT Team’s basic SWAT academy. Ahlfeldt was promoted to Lieutenant in January of 2015. Currently, Ahlfeldt is the District 4 Commander. Ahlfeldt is also responsible for the Department’s CIT Team, CTO/ CLO Team, Chaplain’s program, and the Efficiency Committee. Ahlfeldt has been awarded two Life Saving Awards, four Police Officer Service Awards, a Letter of Commendation in 2004 and various letters of recognition. Ahlfeldt received and Associate's of Arts Degree from Williston State College and a Bachelor's of Science in Political Science from North Dakota State University. Ahlfeldt received his law enforcement training at the Montana Highway Patrol Recruit Academy in Helena, MT. Ahlfeldt is a Graduate of The 398th Northwestern School of Police Staff and Command class. Lieutenant Shannon Rusizka has been employed with the Fargo Police Department since May of 1992. Rusizka served as a Field Training Officer before his promotion to the rank of Sergeant in December of 1999. Rusizka supervised all three patrol shifts, and served as the Office of Professional Standards Sergeant for 3 years. Ruziska was promoted to the rank of Lieutenant in September of 2015 where he was a District Commander in the Field Services Division and then the Investigative Services Division. Rusizka currently is the Commander of the Metro Area Street Crimes Unit and Intelligence Unit. Rusizka was instrumental in creating and implementing the departments scheduling and pay roll system that is still in use 11 years later. Rusizka was name Supervisor of the Year in 2005. Rusizka received his Bachelors of Arts Degree in History from the University of Minnesota, and graduated from the Northwestern University School of Police Staff and Command. Rusizka was a Commissioned Officer in the U.S. Navy for seven years as active duty and 16 years as reserve. Rusizka was mobilized for three years after 9/11 to be the Commanding Officer of Navy Operations Support Center. Rusizka retired at the rank of Captain. 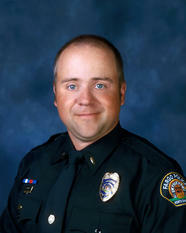 Lieutenant Christopher Helmick has been employed with the Fargo Police Department since December of 2001. Helmick served as a Crime Scene Investigator, Bike Officer and Police Training Officer for seven years while he was a patrol officer. Helmick has been a Police Instructor since 2004. Helmick was promoted to the rank of Sergeant in 2009 where he supervised patrol officers and was the PTO coordinator and Mobile Field Force Instructor. Helmick was promoted to the rank of Lieutenant in January of 2016 where he currently oversees District 1 and oversees the PTO program, Mobile Field Force, Restructuring Committee, Downtown Task Force, BID Advisory Board, Sanford Liaison, and the Airport Team implementation. Helmick has been instrumental in the administration of the Police Training Program since 2008 by overseeing and implementing several changes and improvements to the program. He has overseen the training of over 100 recruits since 2009. Helmick has been awarded the Combat Cross award, the Distinguished Service award for PTO, a Commendable Performance Certificate for apprehending a homicide suspect in 2004, and has received various Letters of Recognition. Helmick received his Bachelor of Arts in Criminal Justice from Minnesota State University of Moorhead, and Law Enforcement training from the North Dakota State Enforcement Academy. Helmick attended the FBI LEEDA Executive Leadership Institute in 2013, the National Tactical Officers Association Supervising Critical Incidents and Northwestern University’s Management of Police Personnel in 2015. Helmick has specialized training in Methods of Instruction, Police Problem Based Learning and PTO Certification, E.V.O.C. Instruction, and Disaster Preparedness Field Force Command and Operation. Lieutenant George Vinson has been employed with the Fargo Police Department since January of 2004. Vinson became a K-9 handler in 2007 and has worked with his partner K-9 Earl since. Vinson and K-9 Earl served as a Narcotic Detective prior to his promotion to the rank of Sergeant in February of 2011 where he oversaw the day shift and School Resource Officers. Vinson was promoted to the rank of Lieutenant in July of 2016 where he has been the commander of the Night Shift and District 3. Vinson has been instrumental in creating programs that help benefit the overall moral of the department. Vinson created a Critical Reflection Questionnaire for officers to provide a unique way to open the lines of communication between staff and supervisory staff, providing a better working relationship. Vinson also was the first to implement the 360 Degree Evaluation for our department. This allowed officers a chance to anonymously provide feedback. Vinson has been awarded the Flood Participant award, Police Service Award for K-9 Handler and a Commendable Service Award. Vinson and his partner K-9 Earl have received numerous awards due to his proficiency in drug detection. Vinson has a Bachelor’s of Science degree in Criminal Justice and Sociology, and a Masters of Arts degree in Public Safety and Law Enforcement Leadership. 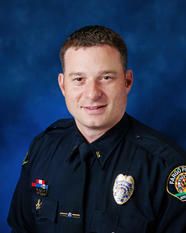 Lieutenant Travis Stefonowicz has been employed with the Fargo Police Department since May of 2002. Prior to working for the Fargo Police Department, Stefonowicz worked as a police officer for the Aurora Police Department in Aurora Colorado. Stefonowicz also worked as a dispatcher for the Red River Regional Dispatch Center, where he was awarded a “stork pin” for helping a young couple deliver a baby over the phone as they were too far along to get to the hospital and they lived far enough away that the ambulance wasn’t going to arrive in time. 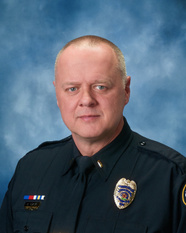 During his time at the Fargo Police Department, Stefonowicz has worked in various assignments. He has been a Police Training Officer, Firearms Instructor, Defensive Tactics Instructor, Active Shooter Instructor, E.V.O.C. Instructor. He has served on the Chief’s Advisory Committee and the Chief’s Selection Committee in 2015. Stefonowicz served on the Red River Regional S.W.A.T. team from 2004 to 2013. He was an Operator, Basic Training Instructor and a Team Leader during his service on the S.W.A.T. team. Stefonowicz has also served as a Physical Fitness and Response to Critical Incidents Instructor and a board member on the Advisory Committee for the Lake Region State College Police Basic Program. Stefonowicz implemented a Fargo Police Department driven police academy which allowed the students to hear radio traffic over the overhead speakers during class as well as having our mobile computer projected on the wall so they could monitor calls for service during class. This allowed them discuss what was happening on the street, what they would do, how to set up perimeters, and best driving route practices. This also allowed the students to be subjected to what our patrol officers do on a daily basis and recognize quickly what skills or areas needed improvement. Stefonowicz was promoted to the rank of Sergeant in in February of 2009. He supervised patrol officers in the Field Services Division and was in charge of the Training Division where he created a new monthly training program for our patrol officers allowing them to train during their work shifts in shorter intervals. Stefonowicz was promoted to the rank of Lieutenant in September of 2016. Currently, Stefonowicz is the District 2 Commander. Stefonowicz is also responsible for the department’s School Resource Officers, Code Enforcement Task Force, Juvenile Diversion Program and our Wellness Committee. Stefonowicz has been recognized as an employee who performed an act worthy of recognition; Top Gun during S.W.A.T. Basic Training; two Combat Cross award; Fargo Police Officer of the Year; North Dakota Law Enforcement Officer of the Year; the Service Award for service and dedication as a PTO and S.W.A.T. Team member in 2008, 2009 and 2013; the Chief’s Medal; and a letter of commendation for distinguishing himself with an act that exemplifies the goals, values and mission of the department. Stefonowicz received his Bachelor’s degree in Business Administration with an emphasis in Human Resources through Rasmussen College, and an Associate of Arts degree from North Dakota State College of Science.